Medical Alert: Know the Warnings on Cipro, Fluoroquinolone Antibiotics! By Amy Moser, with permission. Fluoroquinolone antibiotics can cause great harm to you or your children – parents everywhere should know this! This phenomenon has become so common that there is an actual term for it. It’s called “being floxed”. They are a HUGE no-no , for anyone, leading to connective tissue diseases. 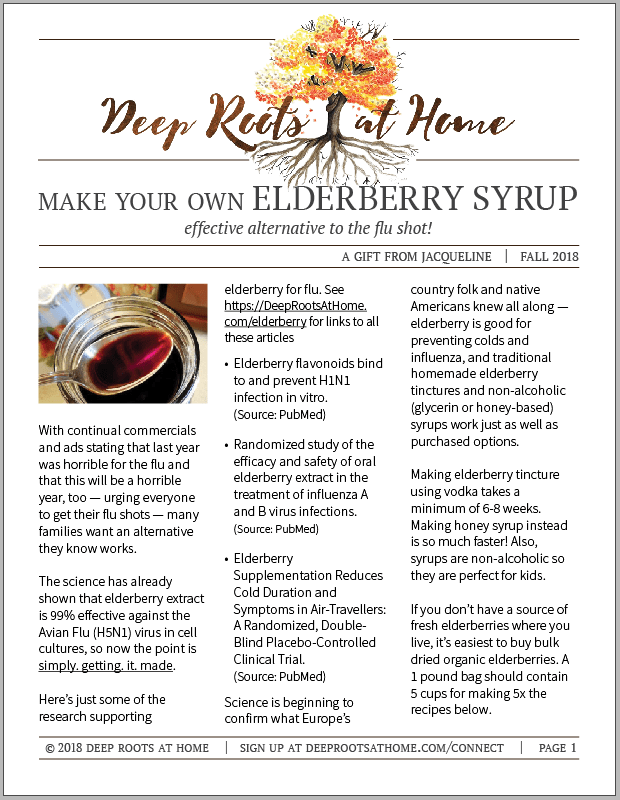 I share this post with the permission of Amy over at Mountains & Mustard Seeds in hopes that you or a loved one can be spared what she and many others have suffered from these dreadful antibiotics! Cipro, Levaquin, Avalox, nearly every generic ending in “quin”, “oxacin,””ox,”…are all part of a large family of antibiotics called “Fluoroquinolones.” The FDA finally updated their warning on these antibiotics as of July, 2016. They site “multiple system damage that may be irreversible.” Permanent, you guys. Here is the link for the warning if you are a doubting Thomas: https://www.fda.gov/Drugs/DrugSafety/ucm500143.htm. Take a gander real quick if you are reading this with an eyebrow raised. Trust me, I wish I had been given the opportunity to soak up this information before it was too late. In 2010, I took Cipro for a UTI, and it changed my life forever. A round of antibiotics literally changed the path I was walking, into a path that I couldn’t even crawl on. Multiple spontaneous tendon and ligament ruptures, spinal degeneration, and arthritis that is widespread. We are talking multiple joint dislocations and surgeries to most of my large joints and spine. Twenty surgeries in the last 7 years if you wanna count. I said T W E N T Y. This class of antibiotics were supposed to be only used as a last resort antibiotics, if all other options had failed. They never were supposed to be given for common infections. They damage the body so seriously because they actually damage the DNA mitochondrial repair cells. Those are the cells that are supposed to heal any damage to the body. In this case, it damages the cells that are supposed to repair damaged cells and tissue. So…you can only heal tissue to the integrity it was when it fell apart. Fantastic. You now have tissue paper tendons and ligaments. You are a human piñata at a party and life is whacking you left and right. Do you know what it feels like to hear and feel your shoulder pull apart like taffy, or your achilles pop and tear apart like an old rubber band? It gets even better. Fluoroquinolones cross the blood brain barrier. This can result in psychiatric events, depression, and suicidal thoughts. I was incredibly fortunate not to have the psychiatric side of this. This was my nightmare. It gets worse. There is no cure. No treatment. No relief. No specialist even. I’m telling you…if it hadn’t been for the knowledge that God is ever present and with me…I would have walked out in front of a bus. He is the reason I am sane…well mostly. I am convinced that a large portion of why God allowed this in my life, is so that I could use my loud mouth to educate you. To share the blessings and miracles He has given me throughout this journey and to be my obnoxious self for a cause that needs to be shouted from the rooftops. If you take a Fluoroquinolone by choice…please don’t tell me. It makes me have anxiety and it makes me worry about something I can’t control. Only you can control what goes in your body. When you tell me you take these antibiotics, it makes me feel physically ill. If you only understood the risk you are taking, you wouldn’t take it. Save the explanation. There are alternatives if you demand them. I’ve refused these medications on multiple occasions and so has my mom who is allergic to penicillins and Cephalosporins and Sulfa. There are other options if you demand them. If you don’t have Anthrax poisoning, or pseudomonas bacteria…my family doctor will tell you, they can figure something else out. I am going to share some trustworthy Fluoroquinolone warning links. If you look them up…I am sure you will be glad you did. Do it for yourself and do it for your friends and your family. Warn everyone you know and care about. I have seen multiple docs from Mayo clinic, and they are in the same boat as the others. They don’t know how to reverse it. They can’t. The science is not there yet. I contacted a doctor from Mayo Clinic in Rochester Minnesota, his name was Jay Smith, and he had been part of a research study of the effects of Fluoroquinolones on the musculoskeletal system in the athletic population. He actually wrote me back when I asked him for a consult and told him I would even fly there for an appointment if he thought he could help me. He said that he didn’t know how to treat it. They know the science behind the damage that Fluoroquinolones cause, but the science is not there yet in how to reverse it. I will tell you this. I reached an incredibly low and dark place when he responded with this. You have to understand that I have had a miracle. God is what has gotten me through this and I can’t put the credit on anything else. The ministers at my church prayed for me and anointed me with oil. In the Bible it talks about this in James chapter 5. I had an incredible experience during that “administration.” My son was 8 years old at the time and he had a dream that night where God spoke to him and told him that “He was going to heal his mom, but we had to be patient.” This was 5 years ago. I am hiking mountains regularly now. My body still has many problems but my progress has been a miracle and all my surgeons and doctors will tell you the same. God is the great physician, and He alone is the answer. Amy Moser writes over at Mountains and Mustard Seeds. Check out her blog and look for her upcoming book “The Magnificent Story of a Lame Author” on Amazon. Oh! Poor Amy! I’m so sorry this happened to you! I’m a fluoroquinone victim too. I Know how you feel. There is no treatment. You can only wait for God’s help. Never lose hope. I will pray for you. Usually I refuse these drugs because of the side effects, both for myself and my family. This past Thanksgiving, I gave in and took them. I was tired of fighting a sinus ‘infection’ since June. Feeling terrible, I slept most of the time. Somehow, in my sleep I managed to tear my rotator cuff. And get tendonitis in my leg. Without being out of bed except to the bathroom and eat. Took my poor brain a few days to realize why these things hurt so much and I immediately stopped the pills. At the time I thought it was just tendonitis in my arm as well as my leg, but my doctor told me it was a tear. For future reference, I was recently struggling with a sinus infection. (First time in my life.) I just thought it would clear up on its own, but it didn’t. One day it occurred to me to try silver. I have used “Sovereign Silver” with amazing results for a number of family health issues. I bought a cheap bottle of saline nasal spray for under $2, poured out the contents, rinsed out the bottle and refilled it with silver. I sprayed that into my nose a couple of times, and my infection cleared up almost immediately! It was gone within a couple of days. Thank you, Faith!!! That is great that you shared it! We, too, have used Sovereign Silver ( http://amzn.to/2orSzqc ) with wonderful success for many things! This is unreal to think doctors will prescribe such a damaging drug. This is so scary. Thank the LORD for HIS healing power. I was on Cipro for years before ultimate surgery and at 57 my body feels like it’s 87. I suffer with severe candida overgrowth which I believe is from antibiotic over use and I know only our heavenly Father can heal me. The doctors only want to use me as a prescription guinea pig. I have gotten some relief from holistic practices and am on no prescriptions as they only gave temporary relief, not healing. Bless you and your family during this journey of healing and thank you for sharing. I am so sad this evil drug has affected you, SR! I pray you will achieve healing and get restored back to health. You are right about the Lord – He is our Great Physician. I am praying for you now, friend! What a powerful and disturbing testimony, Mark! We have a Great Physician who can and does care for His children, but it is so disturbing that our convention medical community has little idea how damaging these drugs are. My daughter just got married and right out of the box she gets a UTI and is given Cipro. I am so upset I could cry! Anyway, I hope this will spare a few families this iatrogenic harm! God bless you and thank you for your insightful comment!